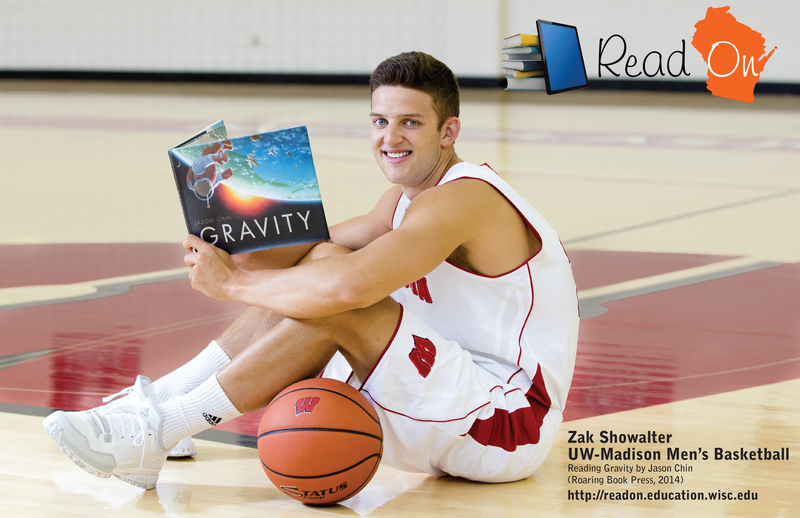 Check out our posters for this year’s Read On Wisconsin reading program! Please feel free to download these posters for printing and sharing in your library as well as for use in social media, websites, and other media! Find downloadables below. 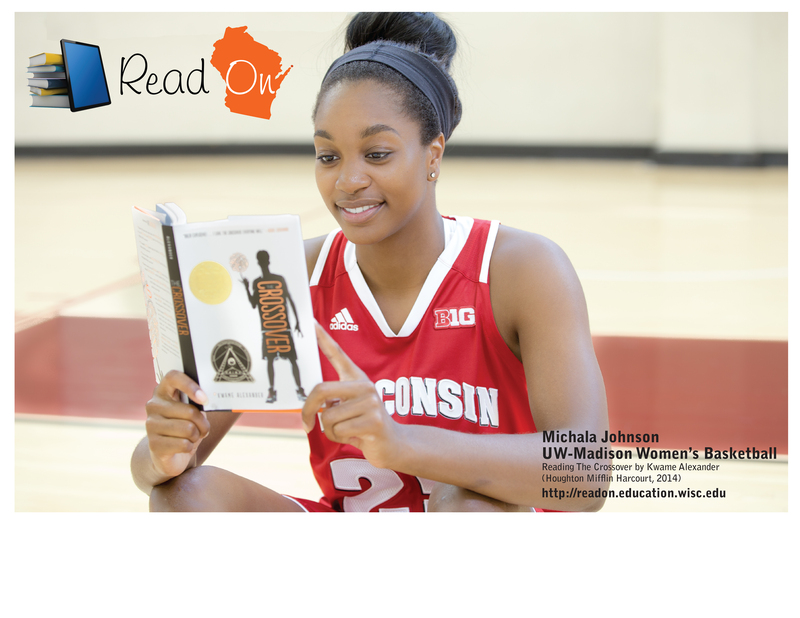 Thanks to Badgers Give Back, the University of Wisconsin Athletics and the Men’s and Women’s Basketball teams we have two excellent reading ambassadors in our posters: Michala Johnson from the UW Women’s Basketball team and Wisconsin high school basketball stand-out, Zak Showalter of the UW Men’s Basketball team. 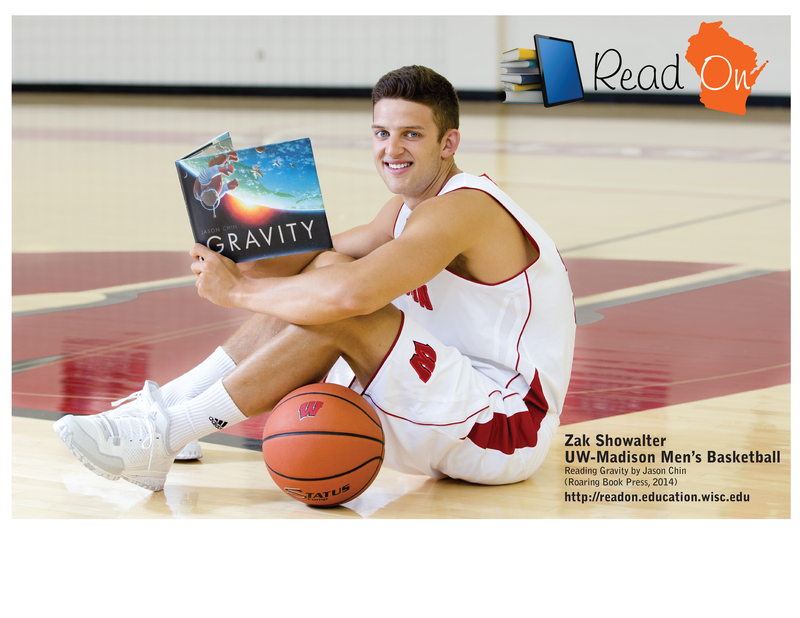 Of course, Michala and Zak are enjoying two of our fabulous Read On Wisconsin titles in the posters. Multi-award winner Kwame Alexander’s The Crossover (Houghton, Mifflin, Harcourt, 2014) and Jason Chin’s Gravity (Roaring Brook Press, 2014). Fitting books for basketball players, don’t you think?! A big thank you to Anna Lewis, director of MERIT, and photographer, John Sable, generously photographed and designed the posters. Use as printed promotional material distributed to Wisconsin students, educators, librarians and library patrons. 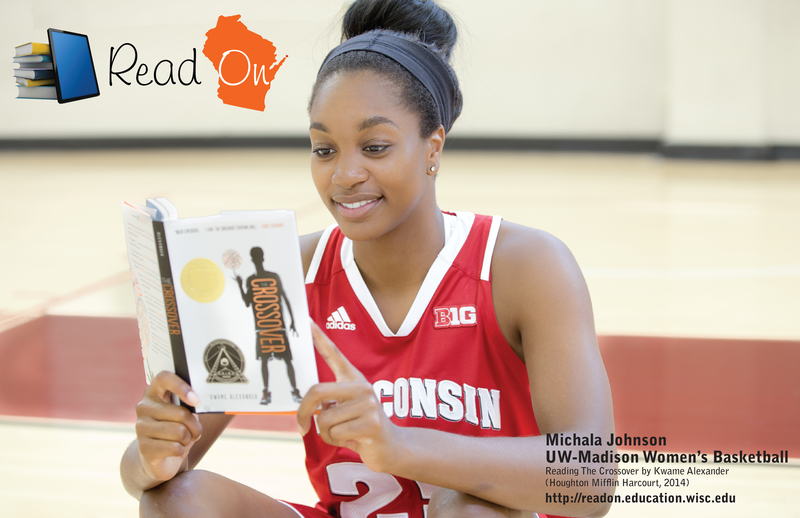 Use as digital promotional material on school and library websites, social media sites, and video screens in schools and libraries in Wisconsin. No alteration other than changing the size of the poster is permitted.